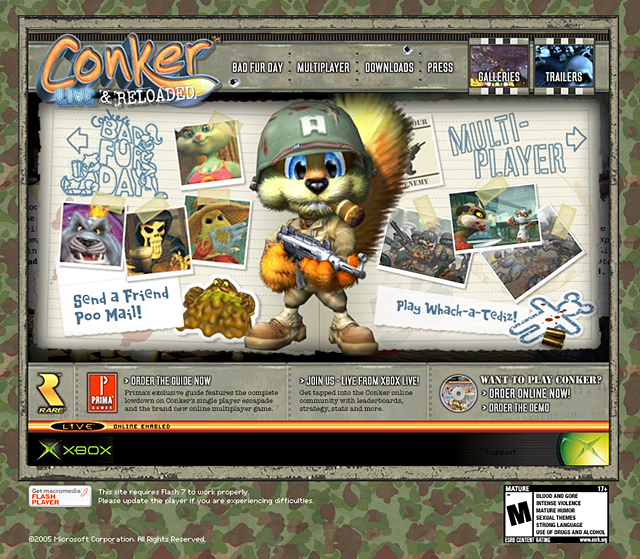 The Xbox game publishing team, collaborating with game producer Rare, needed an experience crafted for their Xbox Live game, Conker: Live & Reloaded. 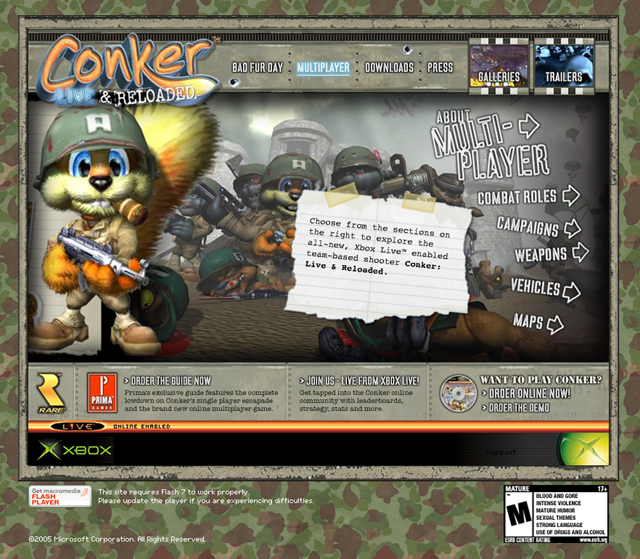 We created a microsite that captures the irreverence of Conker and his pals, and that plays on a tongue-in-cheek �Saving Private Ryan� theme. 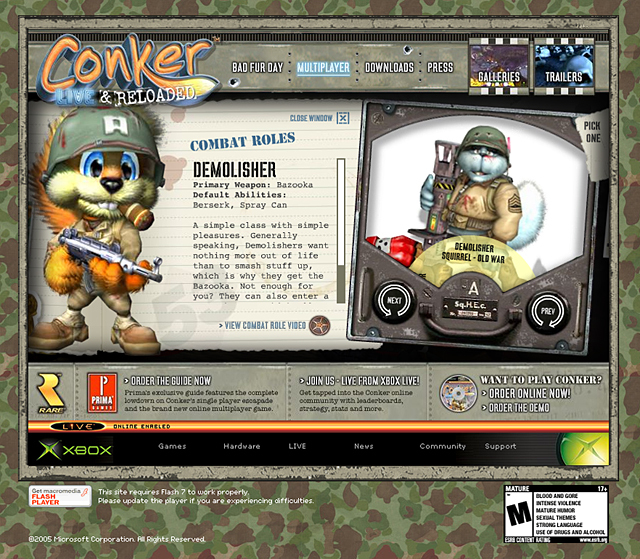 The resulting site is flexible enough to allow quick content localization for foreign markets, while still providing a rich and entertaining user experience.